A snowfall warning is currently in effect for Metro Vancouver and the North Shore with five to 10 centimetres expected. 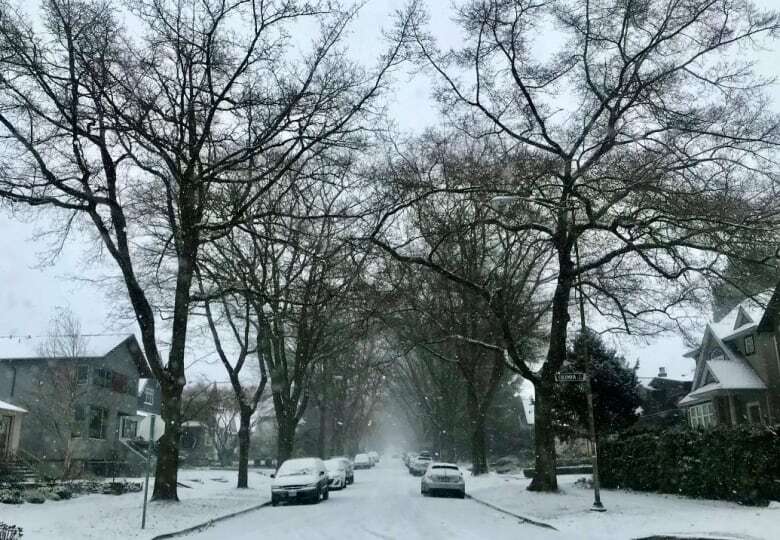 Heavy snowfall across Metro Vancouver and Vancouver Island has caused travel delays as roadways have become covered with snow and slush. Officials closed the Malahat Highway outside of Victoria for a short period Sunday due to dangerous conditions and limited visibility. RCMP also closed a huge section of the highway that links Swartz Bay to Victoria, which is where BC Ferries has its main Vancouver Island terminal. The Pat Bay Highway has since reopened from Swartz Bay to Keating Cross Road. Sidney RCMP says bad driving conditions caused at least 12 collisions along the roadway Sunday. 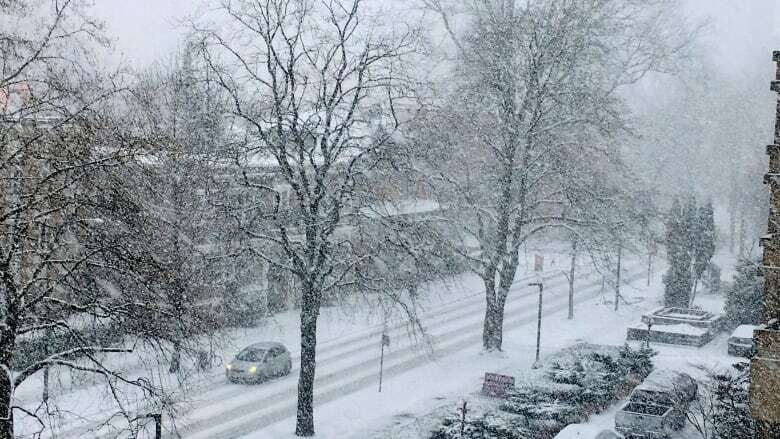 Environment Canada issued snowfall warnings for several areas of the South Coast. Up to five to 10 centimetres was expected to fall around the Lower Mainland, while up to 20 centimetres could fall on southeastern Vancouver Island. The snow caused problems on roads in Vancouver. Traffic was stalled around the Alex Fraser Bridge due to difficult driving conditions. Snow fell heavily in Greater Victoria, the southern Gulf Islands, and eastern and inland Vancouver Island. TransLink says the snow resulted in some delays in transit service across Metro Vancouver. It asked passengers to use caution at bus loops and SkyTrain stations and urged them to dress warmly. The weather also forced delayed sailings with BC Ferries. An arctic outflow warning is in effect for the Sea to Sky highway, as cold arctic air surges through the regions. According to Environment Canada, arctic outflow warnings are issued when "bitterly cold air" flows from the interior to coastal communities, creating wind chill values of minus 20 or less for six hours or more.